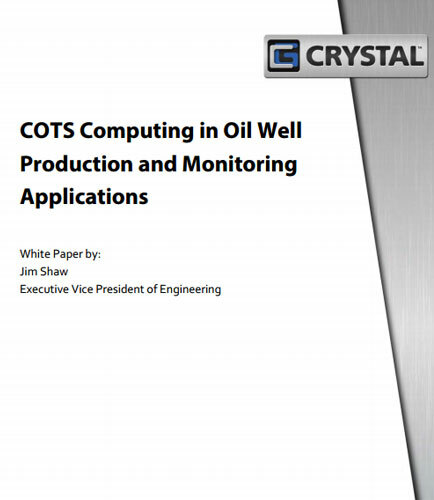 "COTS Computing in Oil Well Production"
The recent trend of need for server class computing on a well site has provided challenges for companies that need to carefully monitor production for the purposes of regulatory requirements in addition to production optimization. The oil field is a relatively inhospitable place for computers, power supplies, and network switches. Selecting the right components and protecting them from damage is a key factor in a long and uneventful life. This whitepaper addresses high-end computer integration associated with well head and down-hole monitoring and provides suggestions for successful system integration for reliable jobsite operations. What is Oil and Gas Industry ? The Oil and gas industry participates in every aspect of the oil or gas business, which comprises of obtaining, discovering, producing, distributing oil and gas. The technological advancement eases and drives the oil and gas industry forward without much difficulty. The latest technological development has improved environmental protection and conservation of natural resources as well. The oil and gas industry has redefined its boundaries through digitization.